Small spiders with long oval silver body with two pairs of small bumps at the front and a thin black root-like middle. 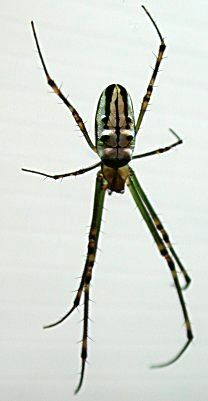 Delicate green-yellow legs with long fine sensory hairs at the bases. One species occurs along east coast Australia and seems to persist even through the longest drought. Bites are rare and have been of little concern.